Anyone with children knows that planning a family holiday is a balancing act; you want to make sure the kids have enough things to do, but you want to make sure the adults are kept entertained too. So, there’s good news for all the parents out there: Cape Town is an incredibly family-friendly destination and is full of fun for little people. If you’re coming to Cape Town with your kids, here’s a jam-packed three-day itinerary. 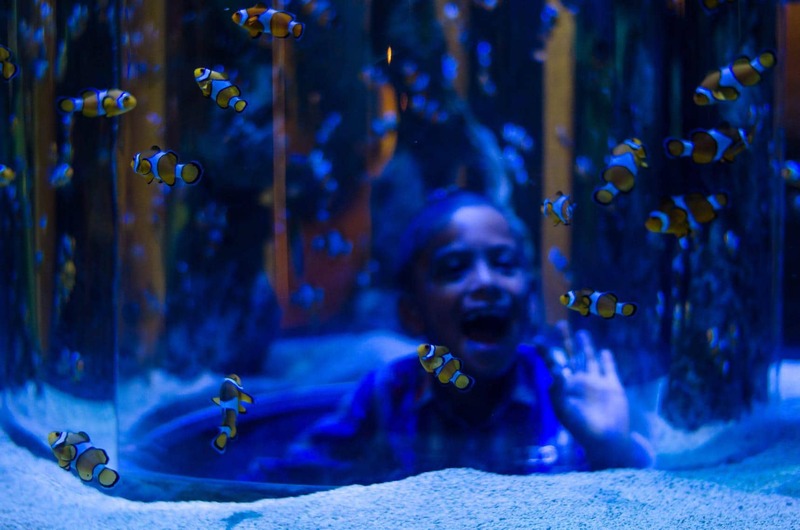 Many of the City’s attractions are on the City Sightseeing Red Bus route, and the office is at one of Cape Town’s top kid-friendly attractions: The Two Oceans Aquarium. IT has more than 3,000 marine creatures on view, including sharks, turtles, and penguins, and is widely considered one of the best aquariums in the world. The aquarium boast feeding shows, interactive exhibits and a play centre so your kids are definitely not going to get bored. From here, board the City Sightseeing Red Bus and head for the Iziko Museum Planetarium. It is next to the Company’s Garden and is perfect for little stargazers. It offers a variety of shows and a fantastic winter holiday programme. Right next door to the Planetarium is the Iziko South African Museum – a fun place for kids to explore South Africa’s natural history. Some favourites include a whale-sound booth and a room full of life-sized replicas of animals. Next head down to the Green Point Urban Park to see a unique space in the middle of an urban environment. It’s a fantastic, family-friendly hub with an outdoor gym, a play park, adventure park, and outdoor labyrinth. Alternately, visit Deer Park Café in its idyllic setting just above the city bowl. It’s the perfect place to conclude the day with rowdy little hooligans in tow. Let them explore the playground and rolling lawn while you sip coffee and relax after a busy day. A City Pass card will give you access to The Iziko South African Museum and over 70 other attractions for free! With sparse public transport in the area, renting a car is probably the best way to get around Cape Town’s Southern Suburbs on day two. Start the day with a leisurely breakfast at Constantia Uitsig’s Open Door Restaurant. There’s a play park right next to the deck so you can sip your coffee and watch while your little ones go wild. If you’re a mountain biker then there’s also a bike park on the premises that offers tracks for all skill levels – great fun for the whole family. Acrobranch Adventure Park on Constantia Nek is a tree-top obstacle adventure park that provides action-packed activities that are perfect for kids. Join your kids and try the obstacle courses, zip lines, and adventure activities. If zip-lining proves too adrenaline-inducing, Paradise Park next to the river in Newlands is far more tranquil. This picturesque spot has climbing apparatus for the kids that includes the Hundred-Acre Wood – a giant treehouse in an old tree. Take a picnic lunch and lounge on the grass while the kids play. 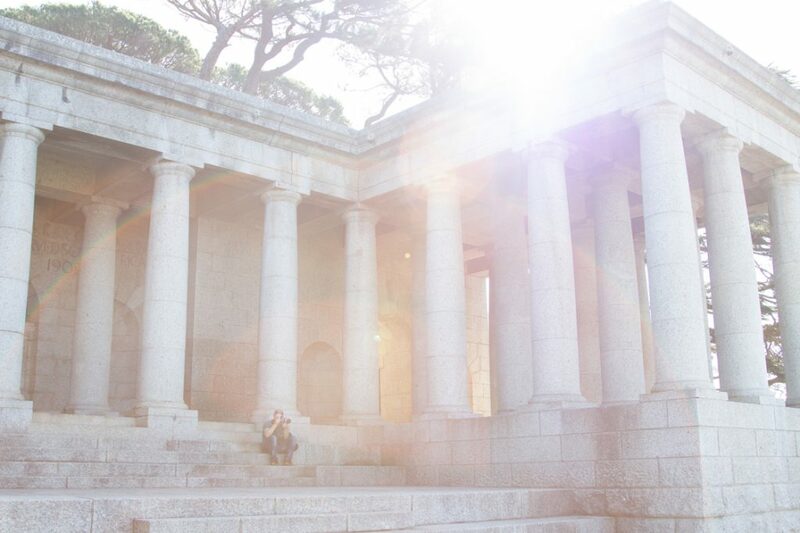 Also in Newlands is Rhodes Memorial, a historic but controversial monument that offers unparalleled views over the city. It’s something of a Cape Town kid tradition to clamber up and sit on the giant lion statues that stand guard, so have your camera ready. Tbe Rhodes Memorial Restaurant and Tea Garden offers some of the best views of any restaurant in the city. With all that outdoor activity you’ll be forgiven for wanting to have a little quiet time. The Clay Café in Hout Bay gives you to keep the kids occupied and have them make gifts for family and friends back home. They can choose from dozens of different clay items to paint, which will then be fired in a kiln. 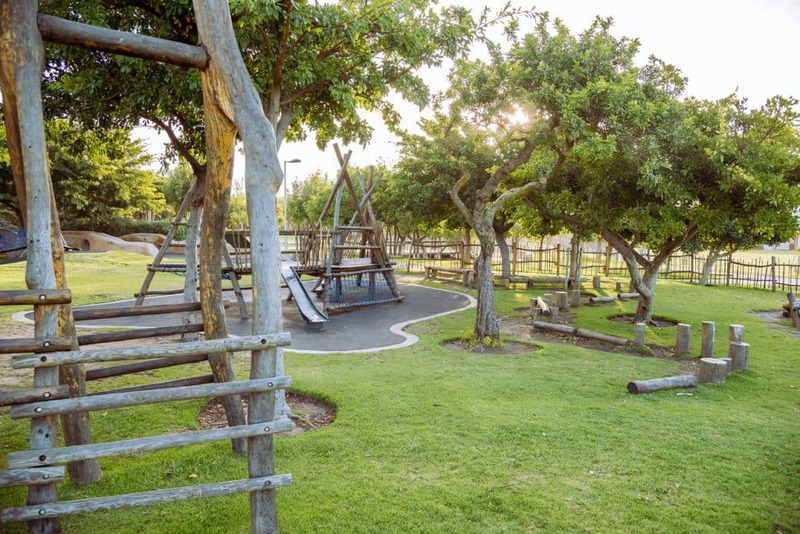 Start your third day on the picturesque Imhoff Farm in Kommetjie that has loads to keep you busy, with a petting zoo for the kids and a restaurant and coffee shop for the adults. There are also small boutiques and a bookshop to explore. Fish Hoek is one of the best family beaches in Cape Town. It’s the perfect place to stop for a swim and an ice-cream when exploring the False Bay coast. On your way along the coast into Simon’s Town check out the Scratch Patch, a unique experience where kids can frolic in a patch of small, polished gemstones and fill a bag with their favourites. Kids come away with a bag of semi-precious stones and a wealth of knowledge about rocks and minerals. Visiting the quirky African penguins at Boulders Beach is a great experience for the kids. The penguin colony is one of the few places in the world where African penguins can be observed at close range. The beach is also a hit with kids. It offers coves sheltered from the currents and large waves by the huge boulders that give the beach its name. 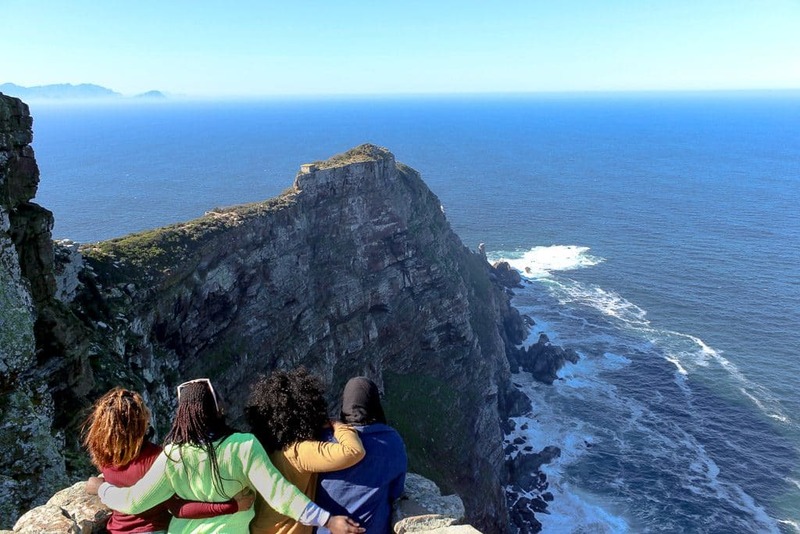 Finish your final day on a high note at the spectacular Cape Point Nature Reserve. Like Table Mountain and Kirstenbosch, Cape Point falls within the Cape Floral Region, a World Heritage Site. It is also the most southerly point within the Cape of Good Hope reserve of Table Mountain National Park. Have fun trying to spot 250 species of pelagic birds, zebra, eland, and the many species of reptiles as well as small mammals. Chacma baboons are common here, especially at the point itself. Planning one day in Cape Town? Here’s how to make the most of it.